Hi everyone! I hope your week is going great so far! It's almost that time of year again, GRADUATION! Graduating is such an exciting time in someones life. 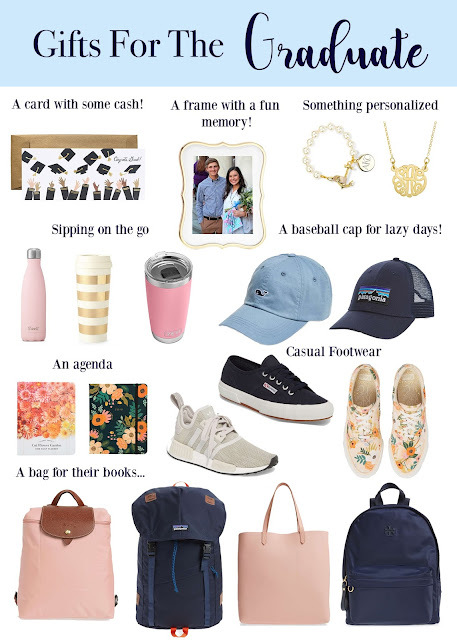 I'm always at graduation parties during the summer and I wanted to share a few ideas for graduation gifts. A lot of people typically will just do a card with some cash to help the grad save up for school, but I added in a few gifts that are more personal and fun.